Croatian prosecutors filed perjury charges against Real Madrid midfielder Luka Modric on Friday for his testimony about financial deals with a former Dinamo Zagreb director charged with embezzlement and tax fraud. The prosecutors in the eastern town of Osijek said Modric gave a false court statement in June about his 2008 transfer from Dinamo to Tottenham. He moved to Real Madrid in 2012. 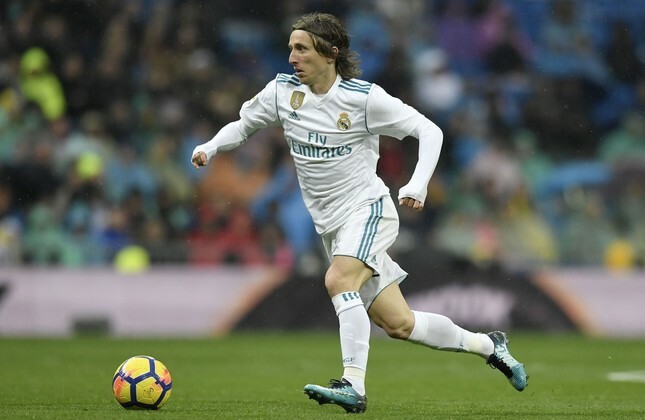 The 32-year-old Modric told the court he had a deal with former Dinamo director Zdravko Mamic to pay the club 50 percent of the 21 million euro ($26 million) contract. Mamic is charged with taking an unspecified chunk without declaring it to tax authorities. The Croatian soccer federation said in a statement that it stands by the captain of the national team "because we believe that in this process he will prove his innocence as well as groundlessness of the charges." Prosecutors have accused Mamic, his brother and two others of embezzling 15 million euros of the club's money since 2008 on different player transfer deals from Dinamo to foreign clubs, and not paying 1.6 million euros in taxes.